How will you run your dystopia? Gain resources, recruit citizens, build buildings, gather influence. For 3-5 players, ages 12 and up. 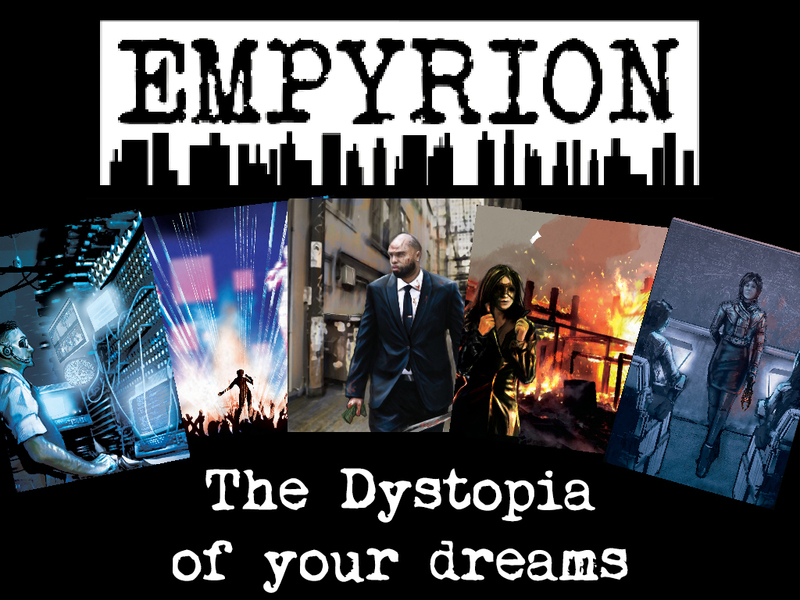 Empyrion is a deck building resource gathering card game in which 3-5 players compete as rival Scions in an effort to gain enough influence to declare themselves Grand Scion and win. Each turn players gather or commandeer resources, using them to shore up your faction strength by recruiting specialized citizens or building unique buildings on your faction board. Citizens provide strong one-time use actions that can quickly change the course of the game. Buildings grant permanent benefits once built and are the primary way to gain influence. 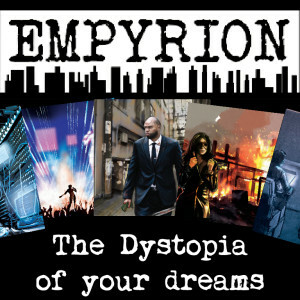 How will you run your dystopia? Focus on building, attacking your opponents, or recruiting as you vie to gain enough influence points to claim the title of Grand Scion and ruler over all of Empyrion!